The Elatron amp came to me in pretty bad condition. 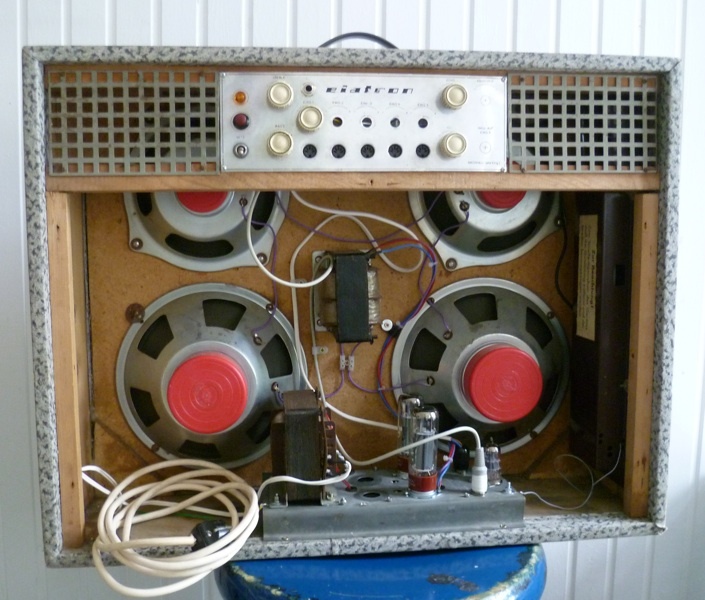 I suspect the original amplifier was a kit from some time in the early 60’s– as can be seen from the photo, this was a homemade job. Components were simply draped over one another and a little dab of solder was used to hold them together. Needless to say, it probably would not have lasted so long in this condition. 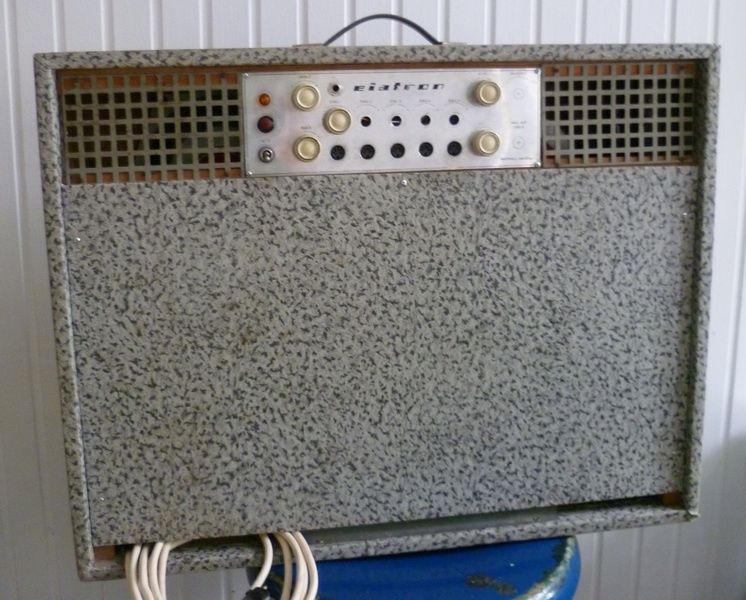 As a complete Rerun rebuild, the amp stayed close to the original spirit: cathode biased EL34 output stage with no negative feedback and a single gain stage. 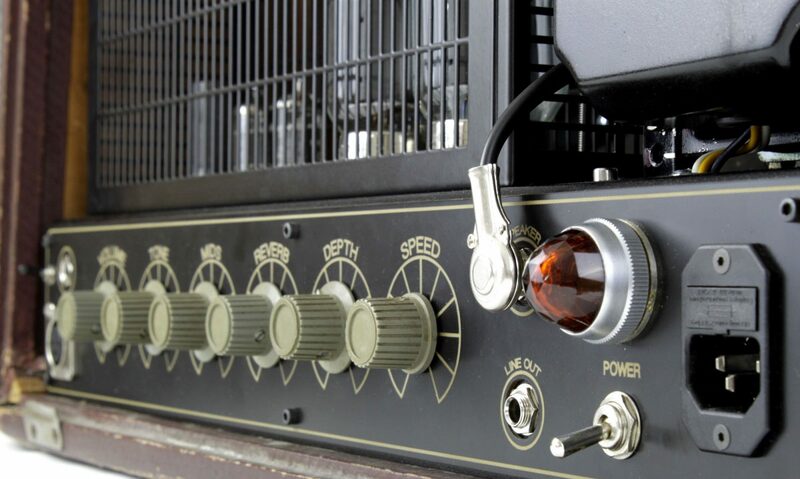 What makes the amp truly unique however is the spring reverb. The original spring unit has an incredible sound that is so over the top and spacious! The signal path includes a simple tone control and leads directly to the phase inverter so the level can be adjusted independently from the dry signal.